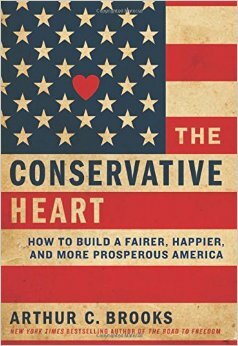 "Meaningful progress toward social justice cannot be made in sclerotic education systems that put adults' job security before children's civil rights," Arthur Brooks writes in his new book The Conservative Heart. Why do we want education reform? It's not because we hate teachers' unions. It's because we love kids. It's because the abuses of the bureaucracies and unions are eating up all of the public school money while resisting accountability and innovation, which hurts kids—especially poor kids. We believe in school choice because it will unleash innovation and allow poor families to escape failing schools. We believe in collective bargaining reform because it frees school districts from the stranglehold of collective bargaining rules—allowing them to save money, add more teachers, and hire and fire based on merit instead of seniority. It is common decency to put the interests of children ahead of the interests of employees. Arthur Brooks is speaking in Tulsa on October 21. For more information, contact my OCPA colleague Rachel Hays at 405.602.1667.